Simple yet versatile, the Malibu Coffee Table offers an excellent choice in an outdoor lounge area. 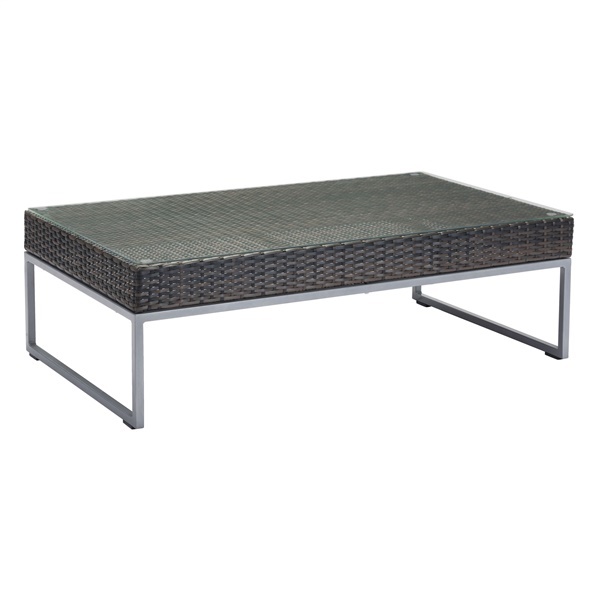 The coffee table features espresso brown synthetic weave and galvanized aluminum construction for exceptional quality. It also includes a low profile and slim lines that give the piece a modern appearance. Enjoy a superb coffee table that is both stylish and functional thanks to the Malibu Coffee Table.